What Are The Signs And Symptoms Of Depression? Depression is a mood disorder that according to the World Health Organization affects as many as 350 million people of all ages around the globe. There are many signs and symptoms as well as several different types. It is important to familiarize yourself with these signs and types so that you can recognize them in either yourself, a friend or a loved one. The signs manifest themselves in different ways. Depression can produce anxiety, guilt, uncontrollable emotions, apathy, hopelessness, discontent, inability to feel pleasure, disinterest, sadness, and repetitive thoughts. It can also affect an individual’s entire body in the following ways: alterations in appetite resulting in either weight gain or weight loss, and a feeling of restlessness. Behaviorally, a depressed person may feel agitated, fatigued, irritable, experience excessive crying, or isolate themselves socially. Lastly, an individual suffering from depression often experiences cognitive disruptions such as lack of concentration, slowness in activity, and or thoughts of suicide. This is not a one size fits all disorder; there are different types that affect individuals in different ways. Major or clinical depression, is characterized by a constant sense of hopelessness and despair. This type may cause difficulty working, sleeping, eating, concentrating, and enjoying life and experiences. Dysthymia, otherwise called mild, chronic depression, is less severe than Major Depression. Those who experience Dysthymia experience similar things to clinical depression, such as sadness, loss of enjoyment, and insomnia, but to a lesser degree. Postpartum depression is a combination of physical, behavioral and emotional changes a woman may experience after giving birth. It is a form of major depression and often arises within a month after delivery. Men and women may experience depression differently. Women are twice as likely to develop it as men. This is thought to be caused by the fluctuating hormone levels women go through during life. For women, it may occur earlier in life as well as last longer and be more likely to recur. It is also often tied to stressful life events and seasonal changes. Depression in women is also more likely to be associated with anxiety disorders. On the other hand, men are more likely to experience fatigue, insomnia and stomach and back aches when compared to women. Additionally, men more often feel angry and irritable, whereas women feel sad and apathetic. Women are more likely to attempt suicide, however, men are more likely to actually commit suicide. Although the signs and symptoms of depression in children and teenagers are similar to those experienced by adults, there are a few difference. In children, for example, it may involve clinginess, worry, aches and pains, disinterest or refusal to attend school, or weight loss. 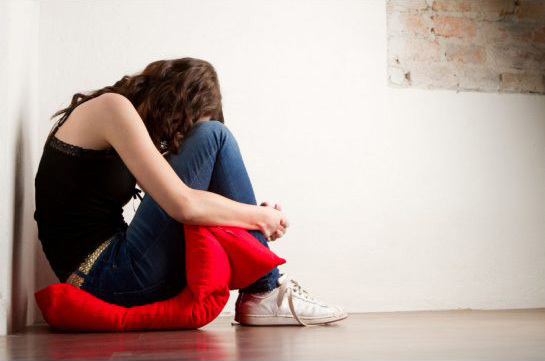 For teenagers, they may suffer from feelings of worthlessness and being misunderstood, anger, poor performance in school, social isolation, high sensitivity, alcohol or drug usage, oversleeping, or increased eating. EFT Tapping can help in that when you’re experiencing a negative emotional state, your brain goes into fight or flight mode for prolonged periods of time. With EFT Tapping, you are deactivating the amygdala’s alarm that is causing this response in your brain, resulting in a calming sensation. The goal is to focus on the mental issues surrounding your depression and concentrate on accepting and resolving the negative emotions. EFT Tapping is a wonderful way to restore your mind body connection to a positive and healthy place. If you or a loved one suffers from depression, Emotional Freedom Technique (EFT) Tapping may be able to help. Many people feel trapped in a negative cycle with emotional baggage. EFT Tapping involves focusing on negative thoughts, using your fingertips to tap 5-7 times on 12 of the body’s meridian points and focusing on accepting and resolving the negative feelings. This allows you to access your internal energy and restore balance. With EFT Tapping, it’s possible to grow, flourish, thrive, and live a life filled with peacefulness and joy. Register for the 10th Annual Tapping World Summit Today! Discover how one simple tool can change your entire life during this free online event!